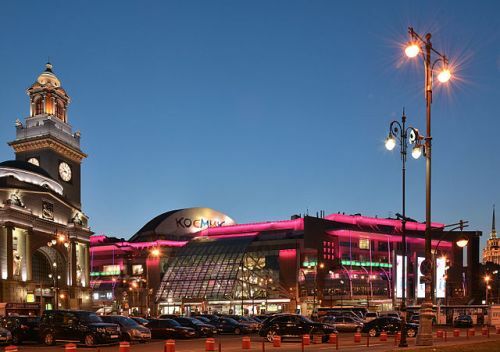 A new shopping mall opened in 2006 next to Kievsky station, right next to the metro. A new shopping mall opened in 2006 next to Kievsky station, right next to the metro. Many international brand-name shops e.g. Marks and Spencer, Next, Levi's, Calvin Klein, and Swatch can be found here. There is also a multi screen cinema, food gallery, supermarket, opticians, and probably everything else if you care to look for it.